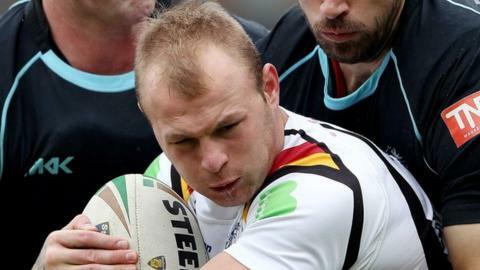 Winger Shaun Ainscough has confirmed he is leaving Super League side Bradford Bulls to play in Australia. The 22-year-old said on Twitter that he had turned down reduced terms at the Odsal club to try his luck down under. The former Wigan, Widnes and Castleford player did not reveal which Australian club he would be joining. He tweeted: "Going to give it my all into my new team and like to thank the fans especially after the adversary we been through together as one big team." Over the past two seasons Ainscough has made 29 appearances for the Bulls, scoring 18 tries. The club has yet to comment on his departure.